As we only book a limited number of cakes per week to provide us with the ability to give the utmost attention to detail and design to your special cake, it is best to book your cake as soon as possible. We tend to book up months in advance during wedding season and holidays. We are able to book cakes up to two years in advance. Do you ship your cakes or other items? Unfortunately, we are not able to ship at this time. We can accommodate destination weddings. Email ashley@littlevintagebaking.com for further inquiries. Do you make gluten-free, dairy-free, vegan, kosher, or sugar free cakes? Nut-free? At this time, we are able to provide gluten-free items but we are not a gluten-free facility. Many items we sell can be nut-free but we are not a nut-free facility. We are not able to provide vegan, kosher, dairy or sugar-free at this time. Please let us know if you have a food allergy or sensitivity so we can determine if our cakes are right for you. What does fondant taste like? I have tasted fondant in the past and I didn’t like it. Our scratch made vanilla marshmallow fondant is absolutely delicious and makes the perfect canvas for your cake. Even if you have had unpleasant fondant in the past, we encourage you to try ours. Do I require a deposit to reserve my date? Both a deposit (or full payment, in some cases) and a signed contract are required to reserve your order, and we operate on a first-come, first-served basis. Deposits are non-refundable. All cake orders require a signed contract. How many cake flavors can I pick? We recommend no more than two flavors on multi-tiered cakes for ease of serving. There is not an additional charge for a second flavor. If you do decide to do additional flavors, extra charges apply per tier. For additional servings in accompaniment to your tiered cake, we can provide supplemental kitchen cakes. Kitchen cakes are non decorated cake tiers that will match the slices of your multi tiered cake when sliced. We only provide kitchen cakes once your tiered cake order has reached at least 100 servings. We do not sell kitchen cakes on an individual basis. While we recommend our handcrafted sugar flowers, you can choose to have fresh flowers on your cake. However, there are certain flowers that are toxic and should not be placed on any cakes. Flowers treated with pesticides or those containing sap or pollen are unsafe for placement on your cake. You should contact your florist to discuss the safety of using fresh flowers. If you choose fresh flowers for you cake, we ask that the florist have the flowers readily available for us to place on your cake upon our delivery arrival. Do you have a retail store front where I can stop by and purchase a cake? Unfortunately, no. We work out of a licensed and insured, private studio and do not make cakes for daily sales. Everything is baked to order; therefore, we don’t have spare cakes on hand. All cakes must be ordered in advance and delivered or picked up by appointment. Can I use faux tiers in my cake to make it larger? Do you make faux cakes? Yes, definitely. We love to add faux tiers to our cakes to add complexity and height to the design of a cake. We are able to create faux cakes for your event. Faux cakes are comparable in price to real cake. Faux cakes are especially popular for events that last a span of a few days or for outdoor summer weddings. Please contact The Little Vintage Baking Company for further information. Can I purchase sugar flowers or other edible decorations from you? We do not sell sugar flowers or other edible decorations separate from our cakes. Can you replicate a design I found online? We are happy to replicate a photo of a cake you bring to us unless the photo contains copyrighted characters or material. Please note that while we will do our best to accommodate the design brought to us as close as possible, we cannot guarantee it will be an exact replica due to artistic interpretation. Cake is art and all artists have their own techniques and different styles. 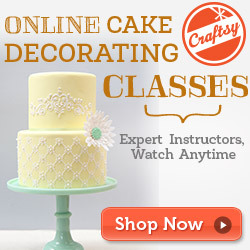 Can I order a faux cake or a small cake from you and order sheet cakes from a different bakery? Can I order a cake from you and other desserts from a different bakery? The Little Vintage Baking Company will not provide cakes or other confections when other cakes or desserts are provided by another baker without our consent. While this is a liability, we also have a reputation for providing beautiful and delicious cakes and confections and feel that it would be unfair to us and your guests if they assume another baker’s work is ours. Do you deliver? What if I want to pick up my cake? We do deliver and there is a fee. We strongly recommend that we deliver your tiered cake. Tiered cakes can be easily damaged in transit. Ultimately, the decision is yours to make. The Little Vintage Baking Company is not responsible for cakes after they have been picked up and a disclaimer will need to be signed upon pick up.